Dr. Ravindra Patel is a respected member of the Undersea & Hyperbaric Medical Association and the surgical community with over 25 years of practising experience. His credentials include four board certifications providing a comprehensive evidence based approach to wound care and hyperbaric medicine. For Dr. Ravi, healing is his primary passion and focus. He says, "We must provide the medical means our patients deserve to expediently heal their wounds; our mandate is to investigate, examine, and apply the most advanced and scientifically proven means to positively impact out patient's lives." Dr. Ravi invests in his team and sets expectations high and plans to over - achieve results. He's adept at promoting the highest standard of care while respecting the microeconomic and macroeconomic environment relating to hospitals, business, and patients. Dr. Ravi’s successful business acumen originates from his belief in a viable solution and his leadership and rapport is respected by patients and associates. He has been instrumental in world-wide expansion of IHS Wound Care & Hyperbaric centers and his vision is now also being translated in this EHR. David DeMik has been part of the WounCareMD, Inc. array of companies since 2009 and has been responsible for driving critical financial objectives both domestically and internationally. Dave has been a key contributor to the company vision and provides the revenue cycle solutions across the wound healing business spectrum. His expertise positively influences customer service, process management, demographic analysis, and marketing strategies which aid hospital administrators to optimize revenue potential for the hyperbaric and wound care niche. His unique history of experiences include being a national “Award of Excellence” recipient in the banking industry from a Fortune 100 company, an AWSA top ranked competitive water skier, and a Walt Disney World cast member graduating Disney University’s “Traditions” course. Courtney is the lead project manager for the WoundCare MD EHR project. Her 8 years of experience managing wound care centers provides a critical addition to the basic functionality and day to day workings of a clinics process. Her vast knowledge of operations at all levels of outpatient centers creates substantial input in allowing a clinic to operate smoothly and efficiently. She is a key contributor to the entire WoundcareMD project and has added insights into the foundation of the program over the past 3 years. Courtney is a very family oriented and enjoys visiting Canada where her family resides. She also loves camping, the outdoors. Mike has over 25 years of experience as a Sales and Marketing Manager, Enterprise Business Development Manager and Account Executive for many of the top companies in the healthcare information systems industry. He has past experience in managing and selling both hospital based platforms as well as outpatient clinical setting software systems. 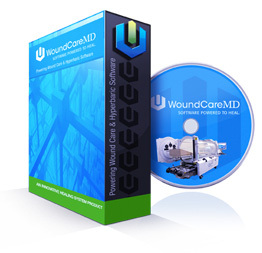 His core competency in these areas brings a valuable addition to the WoundCareMD EHR program. His vast industry knowledge and insights are a key addition to the program's success. Mike attended the University of Michigan and Eastern Michigan University and holds a Bachelor of Business Administration degree. In his spare time he attends various equestrian events with his wife and daughter.